Mother! What makes this word so special and extraordinary? Is it because she is the one who carries a child for nine months and takes care of him until birth? Well, giving birth to a child is certainly a major role played by mothers which makes them special, but what makes them extraordinary is life thereafter. The sacrifices she makes, both on the personal as well as professional front; the continuous love and care which she showers on her kid; understanding what her child is unable to say; and, succumbing her feelings over his child’s happiness. All these attributes of their nature make mothers so special and out-of-the-world. Mother’s Day is an occasion which celebrates the motherhood in true letter and spirits. This day is all about appreciating and applauding the efforts of our mother who have done so much for us without asking them for it. Showering her with love, respect, care, and Mother’s Day gifts is the need of this day, and conveying the deep unsaid emotions through Mother’s Day messages fills your mother’s heart with joy and heightens the mood of the celebrations. 1. Your love mother runs in our veins like water flowing in streams, rejuvenating us and overwhelming our hearts with happiness. We adore you so much mom! Happy Mother’s Day!! 2. Mom, you are an excellent gift from God, filled with love and affection in the heart. You are certainly a blessing for me and our family. Love You! 3. Your smile illuminates our every day just like rays of sunshine in the mornings. You are my source of courage and determination to face every day with joy and smile. Happy Mother’s Day, Mommy! 4. “Love at first sight”…I came to know the reality in this phrase when I first opened my eyes and saw you with those years of joy holding me in your hands. I love you, Maa. 5. A day never goes when I haven’t thought of you and prayed to God for your happiness and well-being. Stay blessed and happy always, Mother. our hearts together in delicate love. Happy Mother’s Day–you’re a present for me from above! 7. The time has come to let you know that how lucky and special I am to have such a loving and caring mother like you. Wish you a very happy Mother’s Day Mother. 8. Nothing can equate your love for me. Your love is deep, unrivaled, unconditional, and inextricable. No matter where I go or what I do, I will always feel comforted by your presence. I love you mom and Happy Mother’s Day. 9. You are my best friend, my soul, my motivation towards accomplishments. No one can ever replace for you in my life. You are the best and will always be for me. Happy Mother’s Day! 11. Dearest Mom, your love and care has been my pillar of strength and your arms my safest haven. Thanks for always being there for me in my difficult times. Happy Mother’s Day! 12. In my entire life, I haven’t come across a single lady as charming, loving, and caring as you are. You are certainly a God’s gift to me. I cannot ask for more. Happy Mum’s Day my Mumsy! 13. Thank you my darling mother for spoiling me, watching my back and helping me with proper advice. Happy to have you in my life. Love you, mom! 14. You have always cared for others before yourself. I am extremely thankful and fortunate for being a child to such a selfless person. You are the best mom! 15. Mom, the best compliment I ever got is “You are turning to be like your mother!” I always pray to God for making me your mirror reflection. I love you, Mom, and I’m proud to be your daughter. 16. A mother is the greatest gift to the mankind from God. She deserves all the admiration and gratitude. Happy Mother’s Day to all the beautiful mothers out there! 17. There can be no sacrifice in this world as big as the mothers make for their children. From carrying the child for nine months, raising them remarkably and ensuring good and successful lives to their children – a mother is no less than a superhero. Thanks Mom for doing everything for me! 18. On this extremely special day, I just want to let you know that you are the best mother in this world and I’m proud to have you as my mother! Happy Mother’s Day! 19. It is a blessing to be raised by you. You are the most amazing and charming mother, a perfect teacher, and the most importantly, a fabulous friend. Love you to the moon and back, Mom! 20. To this wonder woman whom I call Mother, on this Mother’s Day, I really want to express my gratitude for the hard work you have done to raise me nicely and to give me a wonderful life. Thanks a ton, Maa! 21. If there is a person who I love and care about the most, it is you, mother. Happy Mother’s Day! 22. I feel safe in this world because of you. I already know, no matter what, you will always be there to watch my back and pick me up whenever I fall. Happy Mother’s Day Mommy! 23. My life would be so empty and sorrowful without you. You’re my biggest supporter and loudest cheerleader of my life. 24. Your kind heart gives me support and strength beyond measure. Extremely blessed to have you in my life. 25. Your resolute support and motivation have led me to all the accomplishments. May your life be always filled with happiness and contentment…as you have filled mine. Love You, Mom! All these messages for Mother’s Day will add a huge meaning to your Mother’s Day celebrations. Compliment your wishes with amazing Mother’s Day flowers to make the occasion more special and touchy for your beautiful mother. Giftalove wishes for your mom’s happiness and good health, and joy-filled celebrations. “Mom”, “Amma”, “Aai”, or “Maa”- There can be many names by which a mother can be called, but the emotions and affection with which they are uttered can move anyone’s heart. A “mother” is not just a simple word from the English dictionary, but imbibes almost every sentiment that a person’s heart can hold. Just a hug from her works as a magic spell that wards off all our worries within a matter of few seconds. Such is the powers she holds in her! Therefore, this Mother’s Day, thank for her inevitable love and support, and also for those comforting hugs she gave you in your difficult times. 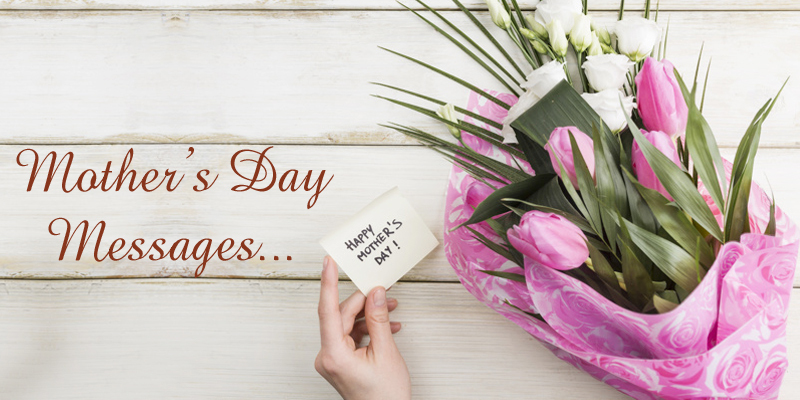 Spread your love, gratitude, and affection in her life with Best Mother’s Day gifts and express your heartfelt emotions to her through the following most heartening Mother’s Day quotes in case you are short of words. Reading them will make your mum know of the all the feelings that you hold for her in your heart! 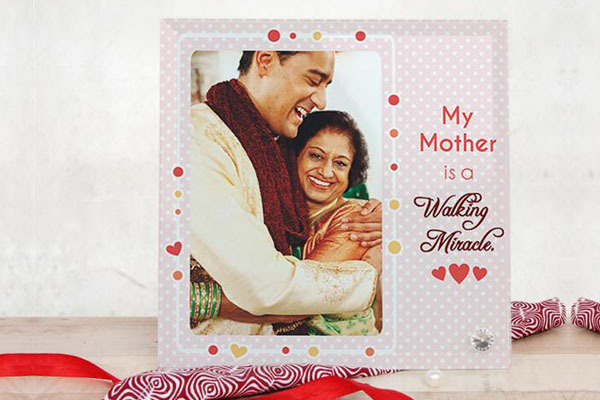 Convey your feelings to your lovely mom with the help of these beautiful quotes on Mother’s Day and be ready for that shower of hugs and kisses from her. Hope you all have a splendid and heat touching Mother’s Day 2019! Mother – This single word in the dictionary stands alone for all the affectionate and hearty emotions that exist in this entire world. She is the only human being who is an epitome of love, strength, endurance, affection, selflessness, admiration, and support for her children and the entire family. As soon as a woman becomes a mother, a whole new rush of feelings is experienced by her making her a different and mature person altogether. Her child becomes a world for her making her do anything just for his or her happiness. Therefore, this Mother’s Day 2019, express your deepest love, adoration, and gratitude towards this gorgeous lady through incredible Mother’s Day gifts that will perfectly sweep her off her feet on this jolly occasion. 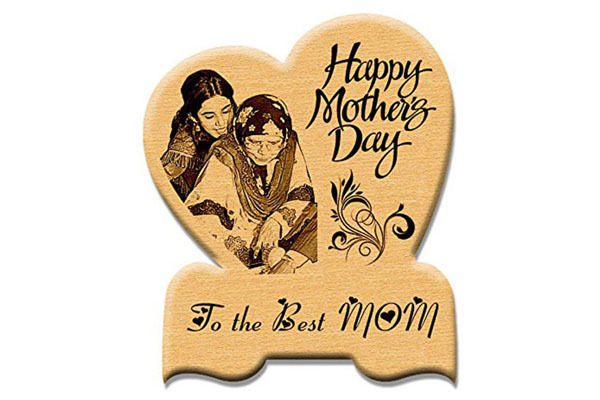 Understanding the craze and excitement for personalized gifts among the people, there is a whole new collection of personalized gifts for Mother’s Day available in the market that wonderfully conveys every child’s emotions for his or her mother in a unique way. Following are some amazing personalized gifting options that people can consider while selecting gifts for their mothers on Mother’s Day. Photos are the best keepsakes of the past beautiful memories spent among our loved ones. 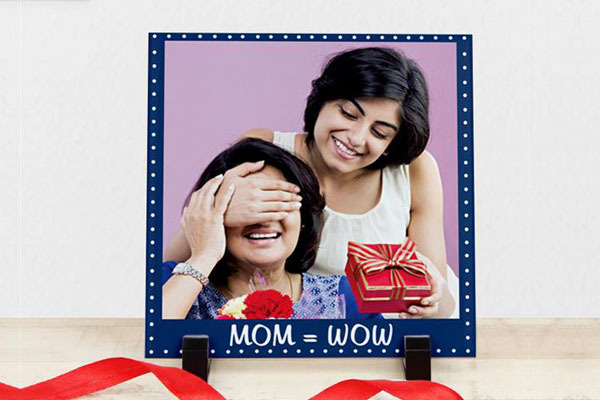 Gifting a personalized photo frame to your mom on Mother’s Day will certainly make her extremely happy seeing the long forgotten or lost pictures in front of her. 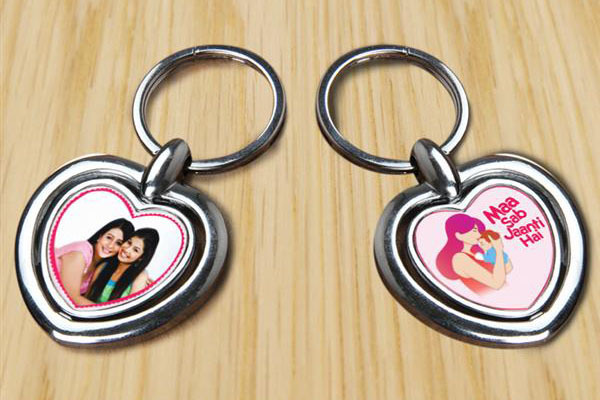 Since mothers are the true keepers of the home keys, surprising her with personalized key chains with a picture of both of you will make her feel supremely special and honored. Tabletops are new versions of traditional table photo frames impeccably carved in different shapes and designs and imprinted with the memorable pictures of the family. Let this one be your gifts for Mother’s Day to astound your lovely mother. Certainly, a fabulous and antique depiction of your lovely photos of your loved ones, these personalized wooden plaques engraved with amazing pictures of your mother is a great gift for Mother’s Day. A cup of tea or coffee in the morning is a part of everyone’s daily repertoire. Gift your mom a wonderful photo mug in which she can enjoy her favorite beverage at any time of the day remembering you. 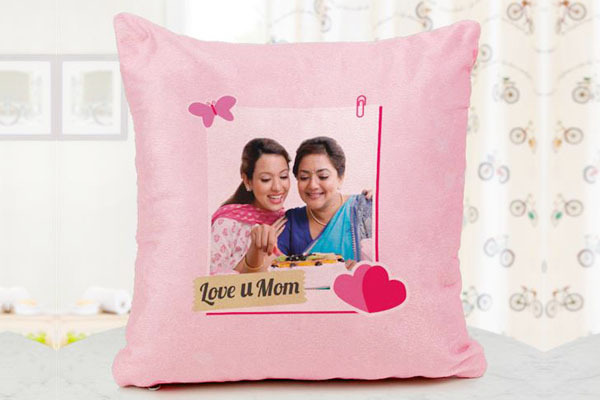 Give your mom a big tight hug on Mother’s Day along with a cute and soft personalized cushion designed with the most amazing picture of both of you. 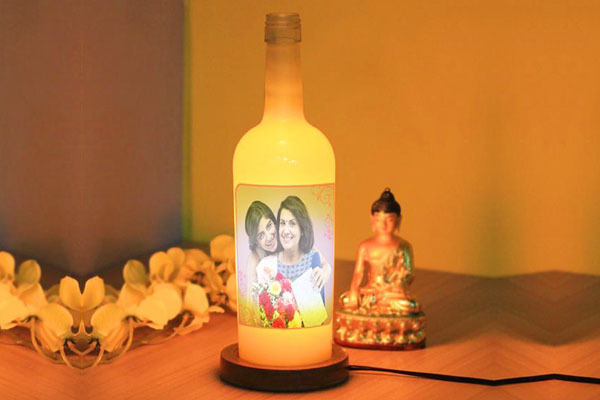 Light up your maternal bond as well as the home décors on the occasion of Mother’s Day with an enchanting and colorful personalized photo lamp imprinted with the most beautiful photograph of you and your mother. Celebrating Mother’s Day in a unique and fun manner is the best way of spending this day with your adorable mother. Take your mom by surprise with a hilarious personalized caricatures gift that will add happiness and laughter in your gifting. Life is no less than a beautifully painted canvas with the presence of mothers in our lives. 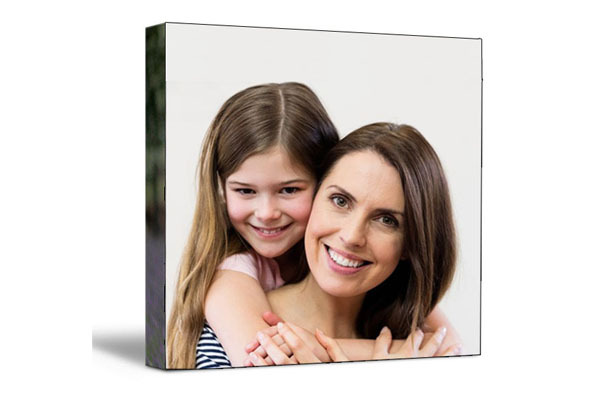 Flabbergast your mother with a personalized canvas bedecked with the captivating picture of your family on Mother’s Day. Crystals are often said to bring good luck in people’s lives. 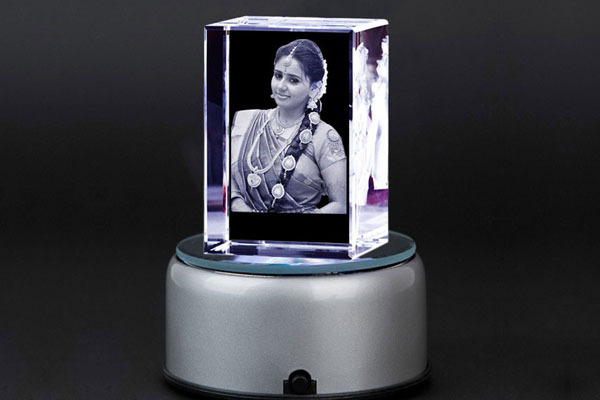 Shower your immense love and affection on your lovely mother with alluring Personalized Crystal Gifts like photo frames and table tops with LED lights effects to elevate your moods of Mother’s Day celebrations. All the above personalized gifts can be purchased online with giftalove.com at really affordable prices. 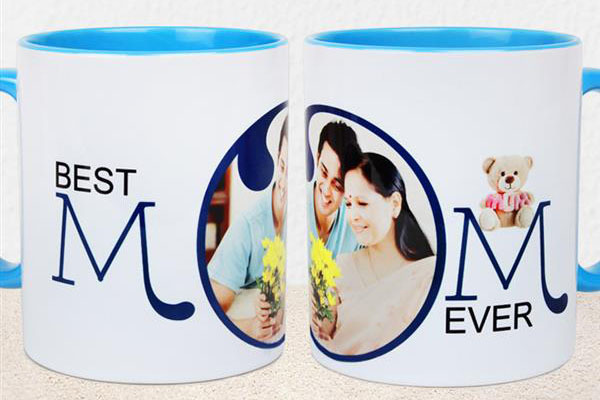 Apart from these gifts, you can also send flowers to India or any other country where your pretty mother resides with timely and speedy online gift delivery. With Mother’s Day just about a month away, quickly plan your gifts for Mother’s Day now! We all have heard that life is uncertain, and so make every moment of it special and full of joy and laughter. Though we often share hilarious moments with our loved ones every now and then, the occasion of April Fool’s Day gives us an opportunity to indulge in mischievous acts with them. And, they cannot complain about it. People just love play pranks on their loved ones making the feel amazed and sometimes embarrassed. These funny and hilarious tricks capture the whole essence of 1st of April that is celebrated with full excitement and joy all over the world. Earlier the celebration of this was associated more with kids, but today, April Fool’s Day is no more just a children act of fun. It has become an event that celebrated by people of all age groups with the same excitement and happiness just like children. With April Fool’s Day approaching in about two days, we all must be looking for some hysterical and unique ways of making our dear ones fool and amused. Therefore, we have come up with the 15 most incredible prank ideas for the perfect laughter ride! So, don’t refrain from turning yourself into a mischievous devil and make your loved ones jump with amaze and amusement. 1. Place the lip balms in glue stick containers, and apply it on your lips in front of your friends and relatives. Though, the husbands would be delighted to see such stuff happening in front of them! Winks! 2. Add gelatin in your dear one’s favorite juice after pouring it into a glass and placing a straw in it. Your drink is ready to be offered! 3. Dust some chalk powder on the white toilet seat before anyone uses it. The white dusty print on the back and the look on the face will certainly give you laughs. 4. Dip the most hated vegetables or fruits of your dear one in liquid chocolate and freeze them. Make them taste this delightful sweet in front of you. 5. Replace hand wash or body wash with slime. Tell your loved ones to wash their hands before eating food. 6. Tell your children or husband that you have cooked something amazing today. Put a funny April fool note in the lunchbox and surprise them later with the same wonderful lunch at the office or school. 7. Change the ringtone of your dear one’s phone to one of his most hated songs. 8. Plan a dinner date with your significant other and send your friend in place of you dressed just like you. The person will be flabbergasted to see your friend rather than you in front of him or her. 9. Pour chocolate and walnuts on the sponge cubes to make them look like brownies. Serve these delicious treats to your family and friends on April Fool’s Day. 10. Add some gelatin to the bottle of your dear one’s soft drink and let it sit for few hours. Let the person have this drink on his or her own. The person would be amazed to see the drink not coming out of the bottle. 11. Coat the doorknob with jelly to don’t let your dear one open the door. 12. Replace salt with sugar in the containers and see the fun happening. Ask your loved ones to make tea or coffee for both of you. 13. Remove the paste from the toothpaste tube and put cake icing in it. Dear ones will not be able to forget the taste of this toothpaste. 14. Make mustaches and beards on the face of children or other dear ones while they are asleep. They would their faces when they see themselves in the mirror. 15. Paint some rice grains as dark brown and black to make them look like mouse poops and sprinkle them on the bed or on the dinner table. The look of disgust will make you roll down on the floor with laughter. If you also want to compensate your loved ones for your playful and impish pranks, then let them have their share of joy with April Fool’s Day gifts at Giftalove. The range is great and will certainly bring a big smile on your dear one’s faces after being fooled by you. Have a wonderful and entertaining April fool’s day ever! 6 Mother’s Day Gifts Ideas for Unpretentious to Fashion Enthusiast Moms! As the dates in the calendar are quickly passing by at an expedient rate, the most affectionate day of the year is approaching us with its open hands. Still thinking of which day are we talking about? Well, this day honors the love and hard efforts of the most beautiful and loving women in our lives. Still need some more hints? We are talking about the occasion of Mother’s Day that is going to be celebrated on 12th of March this year by every person in the respect and honor of his or her mother. Mother’s Day is no less than an international event celebrated with great pomp and show all over the world making every person search for the best gifts for their moms. Every woman is different and so are the mothers. They have different choices in terms of whatever they choose depending on their lifestyles. On one hand, homemaker moms like to stay simple and do not believe in going for chic gifts, while on the other, the working mothers always like to have things that are useful and go with their sense of fashion style. Since their work domain is quite different from each other, so there is a demarcation that is noticed in their lifestyles and choices. Therefore, while making your move to order the best Mother’s Day gifts for your mom, do a deep analysis of your mother’s taste and preferences before placing your orders. 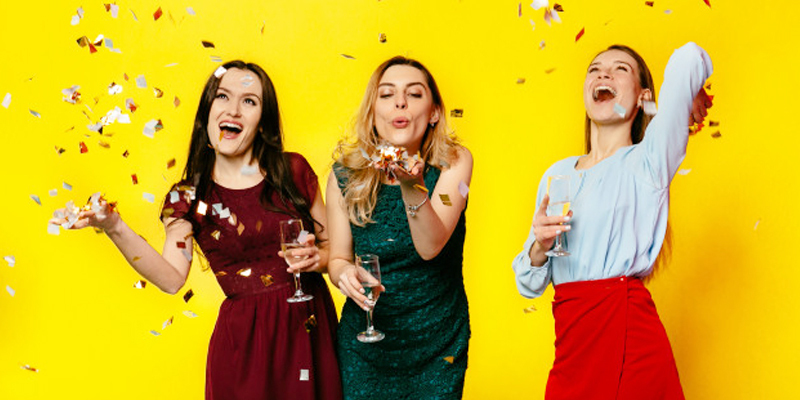 To help you out in this situation, we have listed down some great gifts for Mother’s Day based on every type of mother that can be out there in the crowd. Some mothers just consider age a number and give a tough competition to their daughters when it comes to being fashionable. For such mums, pick a gift that is extremely stylish like a handbag, a perfume, or a maybe a gift voucher worth thousand of their favorite fashion store. Some people are not bookworms in reality, but they love to read books and novels of their preferred genres. If your mom is such a person, then gifting her book written by her favorite author or maybe a good feminist writer is a great idea. You can even get her a yearly subscription or a membership of a book store where she can hang out whenever she wants. Mothers are the best cooks in the world. Food prepared by the best hotel or restaurants just cannot match the taste of the food made with the hands of the mother. For the mothers for whom cooking is a passion, presenting them a knife set, a personalized wooden board, new kitchen accessories, or any other kitchenware is a stunning idea. The lifestyles of today have made women extremely conscious and considerate about their health. They have enrolled themselves in the gym and wish to stay fit and healthy while managing other household and outside chores. Gifting a protein shaker imprinted with her name or her photograph or a branded yoga mat is a great gift idea for wishing good health to your mother. Women who are housewives are often considered low as compared to working women. The works they do at home frequently gets ignored by the family members and are sometimes considered as their duty. This Mother’s Day, give your mother a day off from her regular household chores and also acknowledge the strength it requires to manage the entire home all alone. Gifting your mother a mechanized mop or an automated home cleaner is a great thought of easing her daily tasks. Stepping out of the home early in the morning after sending children to school or colleges is not a child’s play. The working moms strive to give a better living to their children while lending their helping hand in meeting the financial obligations of the family alongside their husbands. Thank your mothers this Mother’s Day for their contributions in your blissful life that has everything you have asked for. Gift her branded handbag or a gift voucher of a clothing brand from where she can shop for her favorite clothes. These are some gift ideas which you can consider while making purchases of your gifts for mother. If you want to buy flowers, cakes, chocolates, and other gift items to compliment your Mother’s Day celebration, you can place your order for them at Giftalove.com at really reasonable prices. 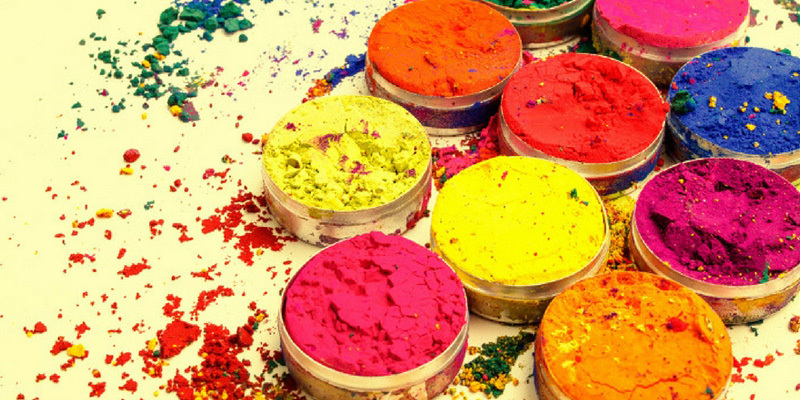 Top 6 Ingredients for a Fantabulous & Exhilarating Kaleidoscopic Holi Ever! With just a day to the prolific festival of Holi, India is all decked in flare and glory for its extravagant celebrations. The markets located on every street in the nook and cranny of the country is throbbing with the vibrant and bright colors of Holi. 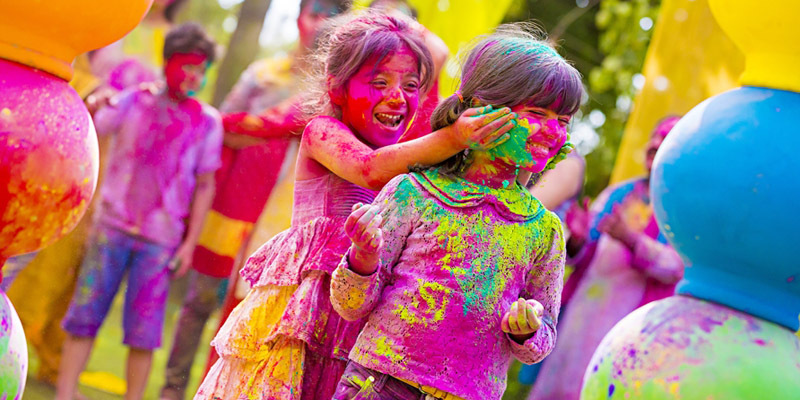 People are all prepared to indulge in the most thrilling Holi celebrations ever with their families and friends. The fun and excitement which this amazing festival carries cannot be described in words. Holi is not just a festival celebrated with Gulals, but it is a day-long act of sheer merriment, forgetting one’s worries and grudges. 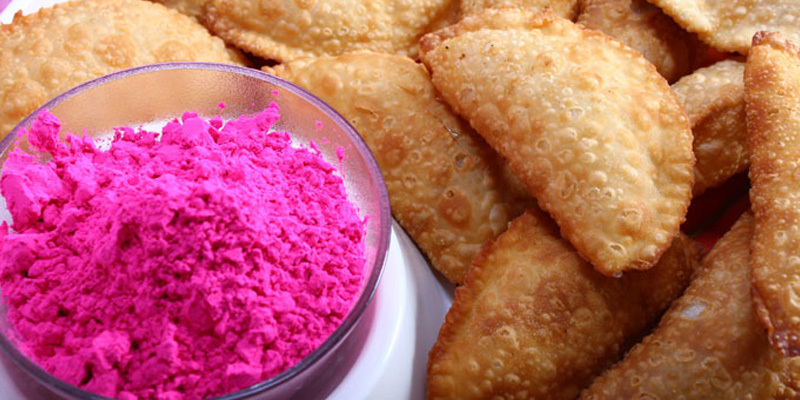 The flavor and thrill of this festival is an outcome of combining some wonderful ingredients which makes Holi what it is! Celebrating Holi without colors is like Diwali without lights. Splashing the colored water, smearing the faces of friends with Gulal and throwing colored water balloons on each simply washed away. Gulals are not just smeared on the faces, but also splashed along with water on the near and dear ones. 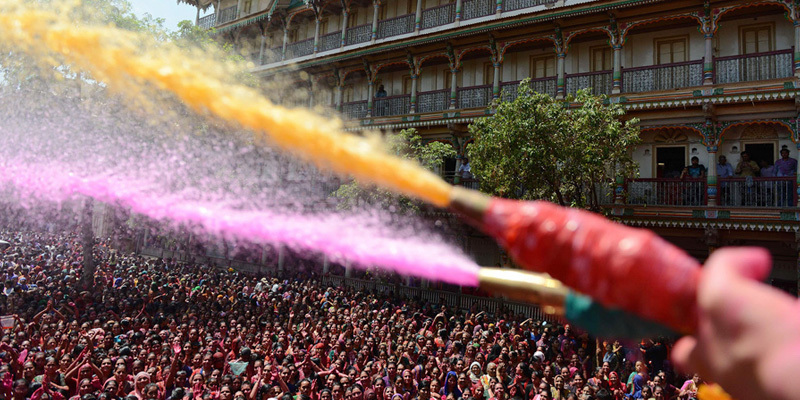 The filling of the water balloons and pichkaris, and pouring buckets of colorful water on loved ones is one of the popular ways of having fun on Holi. Bhang is no less than a ritual in the northern parts of India to indulge in the best Holi celebrations ever! 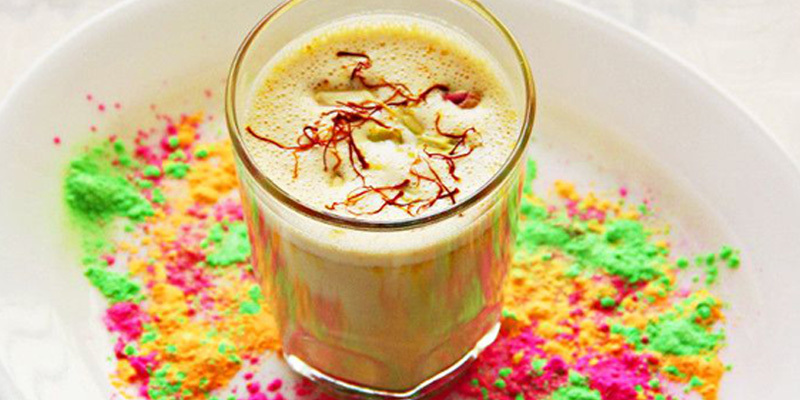 Prepared from the buds and leaves of the cannabis, this electrifying drink arouses the spirits of Holi. As this beverage travel in the body, a sense of heightened energy is noticed. 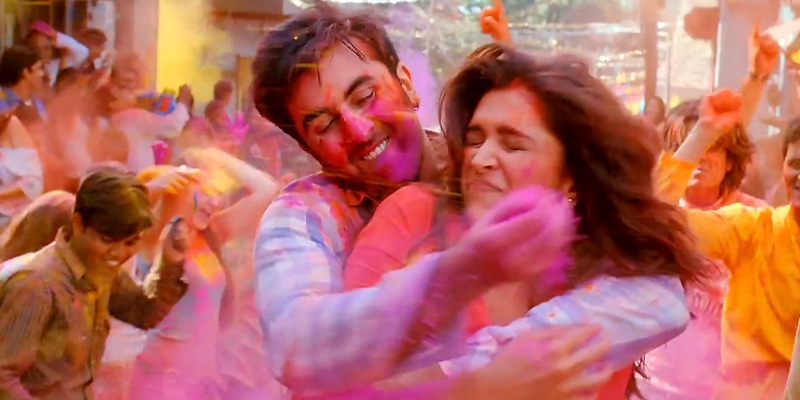 Grooving to the beats of the famous energetic Holi songs is the best way to indulge in the decorations. “Rang barse”, “Balam Pichkari”, “Holi Khele Raguveera” and many more will make you dance like never before! These sweet treats on Holi made with semolina and dry fruits are an indispensible part of the Holi celebrations. The fun and laughter while preparing these delicacies with our dear ones are unexplainable. The fragrances of the yummy pakoras being fried in the households linger in the air on the Holi morning. 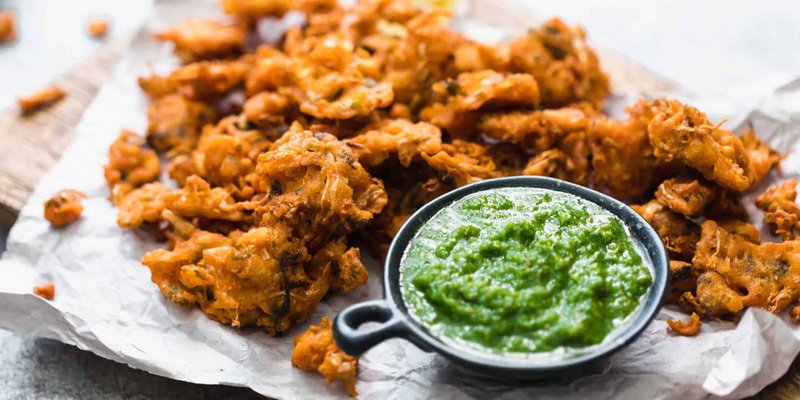 Gorging on these mouthwatering pakoras with green chutney with a glass of bhang or cold drink is a perfect way to start off the Holi celebration. Holi Gifts is another popular way of making this Holi 2019 the most fantastic one among our dear ones. 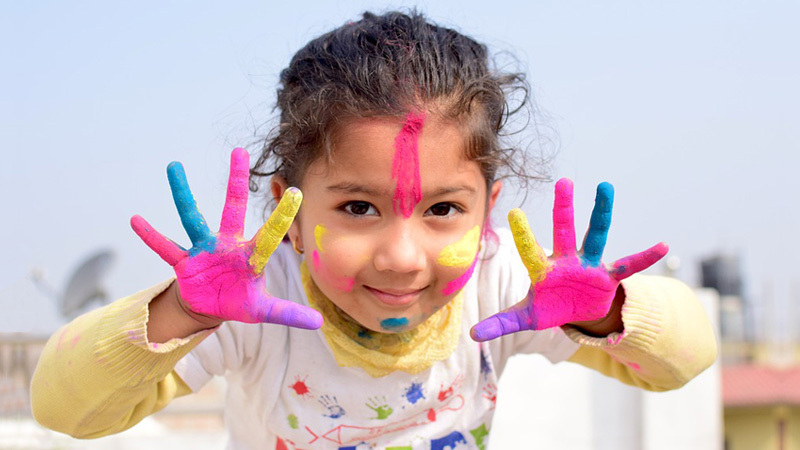 Surprising them with amazing gifts on Holi is a remarkable way of expressing our love and gratitude to them in the midst of the colorful Holi celebration. Giftalove.com is an incredible online portal that has an amazing range of the best Holi gifts for a memorable jollification ever! Going by the lyrics of some really romantically weird Bollywood songs, the attributes of feminine beauty is often associated with the vivaciousness and charming features of the flowers. Though, it sounds a bit more comical to us, but women naturally carry the purity, delicacy, and innocence of the captivating blossoms in them. Even the poets have been a witness to this ideology and have incorporated this aspect of the womanly beauty in their beautiful poems and ballads. The extent of a women’s personality is the most fascinating thing in this enormous and splendid creation. Its complexity and uncertainty has made the task of decoding their preferences and decisions a daunting task for men. But, there is one thing that they have clearly understood and that is their fondness for flowers. Fresh, enchanting, and pure blossoms have always been desperate choices for womankind. Maybe that’s why flowers are frequently serves as wonderful gifts to present to women on special occasions. For them, a bunch of mesmerizing flowers can outplay any lavishly expensive gifts any special occasion. This 8th March on International Women’s Day, when the whole world will be busy venerating the contributions and achievements of the famous zealous women, surprise all the wonderful women in your lives who have a source of inspiration and motivation for you. Thank them for their unconditional love and dire support with appealing floral Women’s Day gifts that are not just restricted to a bouquet of basket of alluring flowers, but has much more in store for your fabulous ladies. To have a blasting celebration of Women’s Day, here we have compiled a list of 7 uniquely common floral gifts that will certainly uplift your stature in the eyes of your remarkable beauties. 1. Flower arrangements: What can be better than a bunch of natural flowers with an enchanting fragrance and bright colors to strike the chords of the beautiful receivers on Women’s Day! Such eye-catching gifts are not just about a bouquet of blossoms, but, you can go for ample number of magnificent arrangements like floral baskets and glass vase arrangements. Mimosa is a flower that celebrates the joy of this special day; pick a bouquet made with these flowers to add a meaning to your Women’s Day celebrations. Other flowers you can go for are red roses, orchids, carnations, lavender as purple is the significant color for Women’s Day, tulips, and lilies. 2. 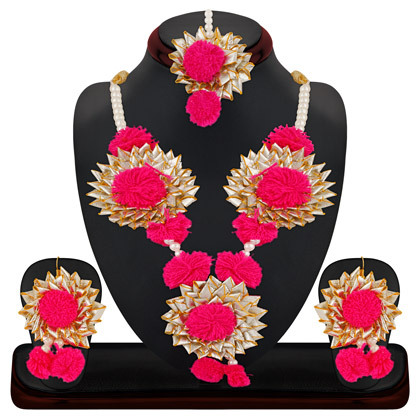 Floral jewelry: This one is here in the list as jewelry is the next best thing that women love to crave for. As flowers is the theme that we are following here, going for a jewelry that is either made with natural or artificial flowers, or picking a metal jewelry designed in the shape of flowers is a popular pick for women. There is a good range of beautiful floral shaped rings and earrings that will heighten the beauty of your pretty ladies. 3. Cakes decked with floral patterns: Celebrating such an amazing occasion without scrumptious cakes is like a feast without a dessert. 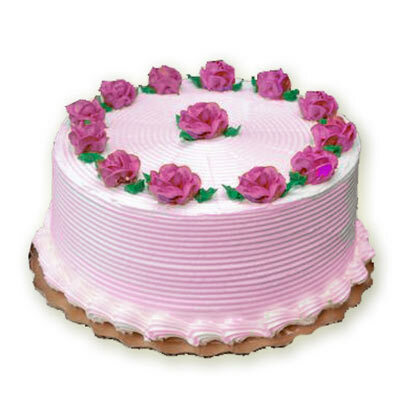 Pick a cake that is beautifully curated with pretty floral designs in your favorite flavors. 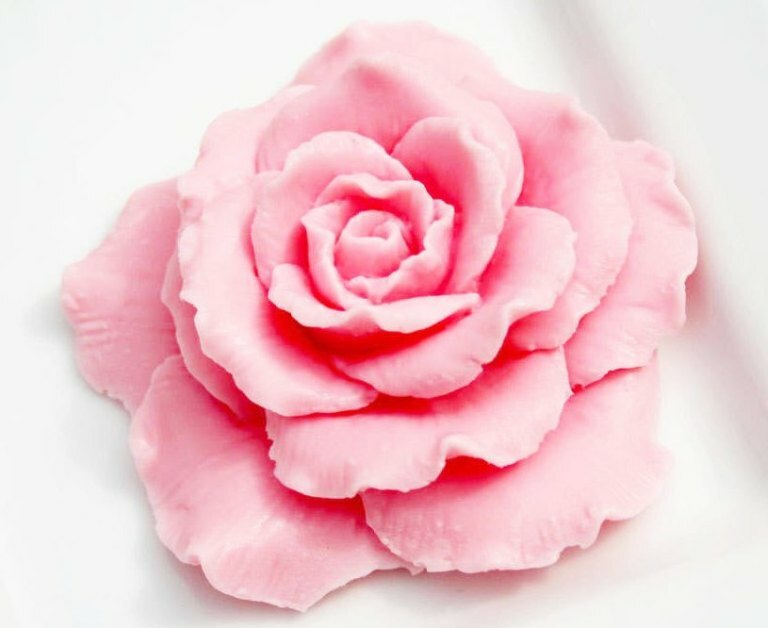 There is another way of surprising your wonderful women with delicious cakes by taking inspiration from the western culinary style by decorating them with natural edible flowers. Floral patterns give a pleasing appeal to the cakes and make them more tempting in terms of flavors and gorgeous in looks. 4. Floral perfumes: Women just love to don floral attars and perfumes on their bodies to smell like a garden of flowers. The floral fragrances appeal their senses the most, which makes the demand for such perfumes soar high in the markets. 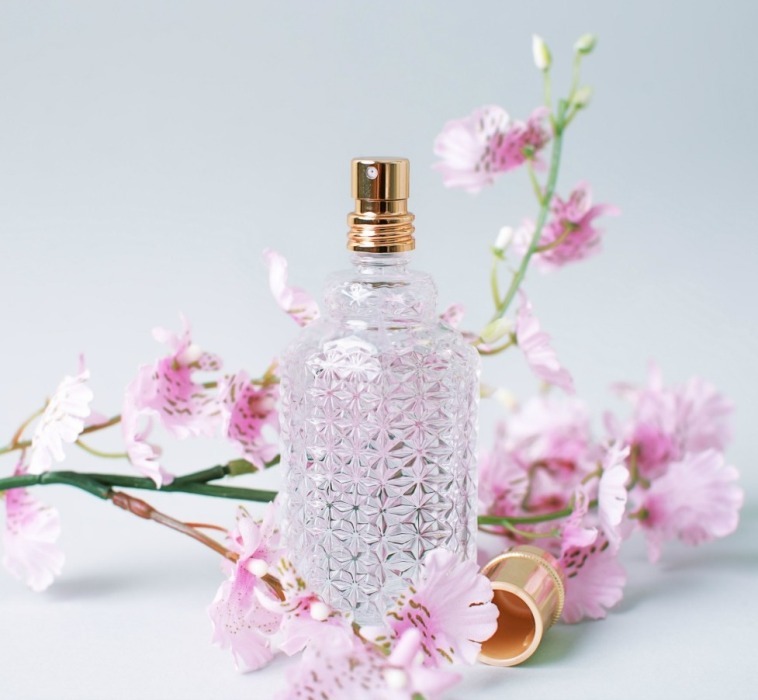 Considering their personal taste and preferences, you can pick from a wide range of branded floral perfumes infused with the natural scents of flowers like rose, jasmine, Mogra, and many more. 5. Floral soaps: Aromatic soaps prepared with the natural essence of flowers and carved in their shapes too are the best floral gifts to present to women on the occasion of Women’s Day. Placed in beautiful boxes or containers, these floral soaps strongly smells of flowers and are also infused with aromatic essential oils for that perfect skin. Therefore, this Women’s Day, spread the fragrance of blossoms all around to make these beautiful souls feel elated and surprised. 6. Flower combos: If you really want to surprise your mom, wife, or sister in a big way this Women’s Day, select a plush flower combo for that exquisite touch to your gifting. Flowers with cakes, chocolates, teddies, apparels, or greeting cards are popular picks during the special occasions. Overloaded with your love and warmth, these floral combos will definitely be an enormous surprise for them this 8th of March. 7. 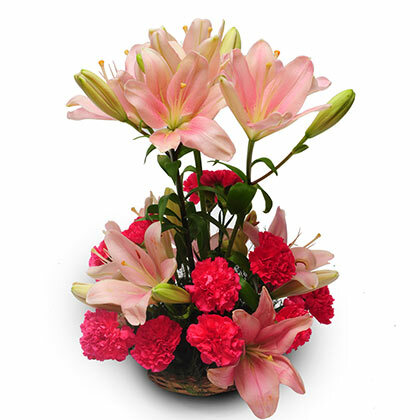 A flowering plant: Gifting a flowering plant to your mother or wife on Women’s Day is the best way to express your love and gratitude to these charming ladies. 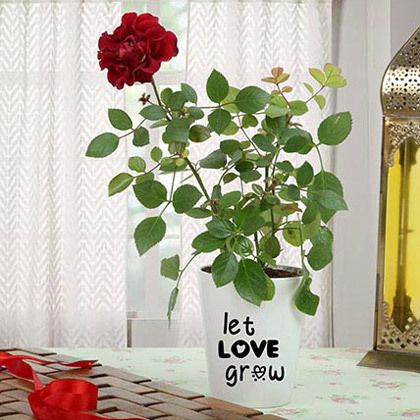 A symbol of long life and cheer, this plant will represent your relationship with the other person. The flowers in the bouquet or baskets may wilt after some time, but this plant will keep giving flowers if taken care of. All these attractive gifts will certainly make every woman in your life fall in more love and affection with you. Their hearts will brim with the feelings of gratitude and admiration just for you. Giftalove.com is a pioneer website that is delivering happiness in the form of all the above gifts at the desired destinations of its customers. 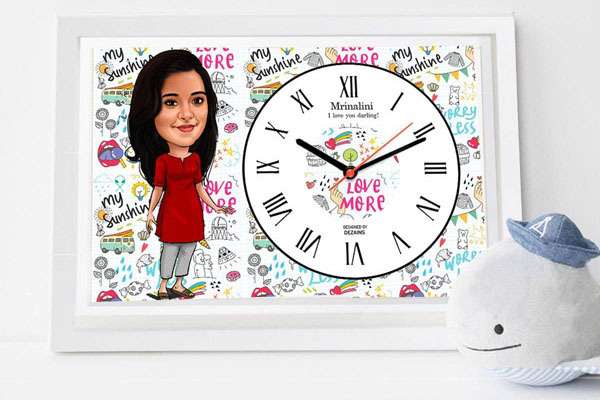 Sprinkle your love and adoration on the amazing super women with Women’s Day flowers online from this online gift store and turn this 8th march the most memorable date in the calendar for them.